So, you're at happy hour, and it's time to say cheers. Smile, clink glasses and that's it, right? WRONG! While that's all it takes in some circles, it's really the social equivalent of a weak handshake (you DO know that firm is the way to go, right?) After numerous nights out and bearing witness to quite a few fuax pas, we decided to assemble a short list of things you should know. The main rule for clinking before drinking is to look your fellow imbiber(s) in the eye. 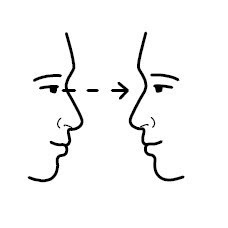 If you happen to be in a group, choose one person (perhaps the cute guy with whom you've been trying to find an in) and establish eye contact. Basically if you're touching your glass to another person's you it's only polite to to exchange a friendly glance (and maybe even head nod). 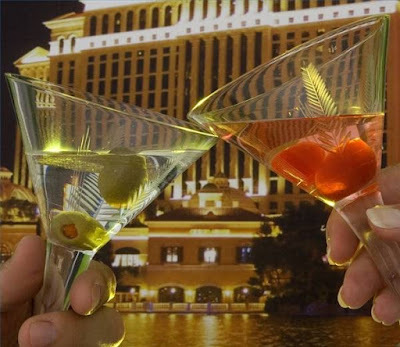 According to various sources (such as this one) the actual tradition of clinking glasses traces back to medieval nobles' tendency to kill each other by poisoning drinks. As a result, the practice started to prove the safety of one's wine. However, other sources (like this one) say that claim is false and that the tradition comes from one of simply showing solidarity after people stopped drinking from one communal cup at celebrations (yet another reason for looking people in the eye). There's more than one way to skin a cat (and salute with cocktails). 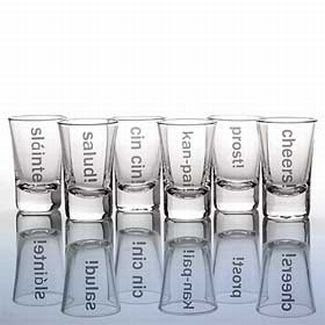 Knowing how other cultures say "cheers" may earn you a cool point or two (as long as you don't come off as a know-it-all). Often, these terms mean "peace" or "to your health." Here are a few to get you started: In Spanish, it's "Salud" (margaritas, tequila shots and sangria, anyone?) The French say "Sante" (Champagne, mimosas, cognac, etc.) The German way is to say "Prost" (only for beer). Can't forget the Russians (Where would we be without vodka? ), who actually have no widespread national cheer. There's a tid-bit of trivia for you. You can find a pretty good list of drinking salutations here.